The three E’s will ensure that you get the capable and dedicated service your case requires. There’s a saying that experience is what you get after you need it. The last thing you want is for your attorney to be learning on the job. Our Tennessee law firm has more than 20 years of experience in family law and divorce cases in and around Franklin and Columbia, Tennessee. Over that time, we have developed an efficient system of managing cases that has led to consistently favorable results for our clients. An important aspect of legal practice is the manner in which an attorney relates to clients. Your divorce attorney must speak for you in negotiations and in court, so you must have a good working relationship based on trust. An attorney’s empathy, a natural emotional connection to you and your circumstances, goes a long way toward helping establish that trust. Additionally, if your attorney cares, and invests emotionally in your case, you can expect highly motivated service. Our attorneys extend every effort for our clients to ensure they receive fair treatment on crucial issues, such as fathers’ rights and temporary support. 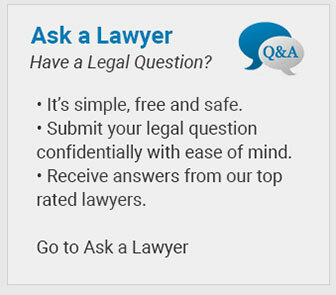 Of course, you want legal knowledge and reliable advice from your attorney, but you also want action and results. At the Law Offices of Adrian H. Altshuler & Associates, we have the energy and drive to deliver a positive outcome. For experienced, empathetic and energetic family law services, call the Law Offices of Adrian H. Altshuler & Associates at (615) 412-1121 or use our convenient online form to schedule your free initial consultation.